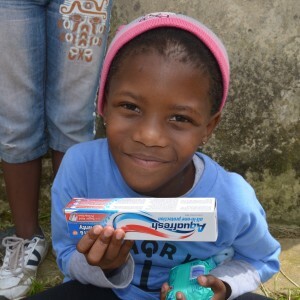 650 school packs distributed in South Africa and Lesotho. 24 high school students receive sponsorship to provide help with tuition, school uniform, and books for the entire year. Thembalethu Bible study New Bible study begins in Thembalethu, South Africa. 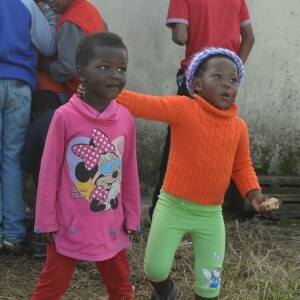 Thembalethu Bible study grows to 35 children. Four teenagers from George and Jan and Nicole Seegmuller from Up With Down’s accompany me to Lesotho for distribution of 125 Winter Packs (blanket, scarf, hat, and gloves). Plans for Training Program take shape and arrangements made for 6 from Lesotho for training the end of June. Packing and distribution of 125 Winter Packs for children in the George area. First training session with 4 Lesotho students in George. 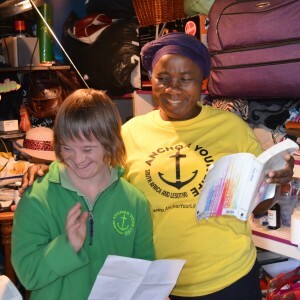 Lesotho ministry grows to 125 children who attend weekly Bible study and have their physical, educational, and spiritual needs met by Anchor Your Life. We go under contract to purchase a home in George to house the Training Center. $222,000 is donated by friends of Anchor Your Life in 5 weeks to purchase the property in George for the Training Center. 35 teenager finish their high school year. None of which could continue their education without the funds from their Anchor Your Life sponsors. 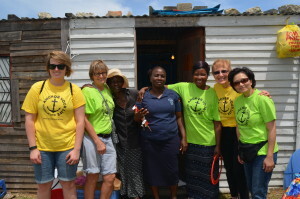 A team from Loving Covers visits George, South Africa and Lesotho. 275 Christmas packs (soap, shampoo, tooth brush, tooth paste, vaseline, and face cloth) assembled by Up With Down’s and distributed by Anchor Your Life, Up With Down’s, and Loving Covers.